Wawa is known for its convenience stores and as a place to fuel up your vehicle. There are over 700 locations in Pennsylvania, Delaware, Maryland, New Jersey, Florida, and Virginia. If you are a routine customer of Wawa, you may have considered this credit card for the gasoline savings it offers. Below we have provide a Wawa credit card review to help you determine if this credit card is right for you. Let’s take a look at the details of this credit card. The annual percentage rate (APR) for this credit card is far from being a deal for the cardholder at 25.99%. However, the APR is what is to be expect when it comes to a retail credit card. Keep in mind that this credit card is for purchases at Wawa locations only. It cannot be used at other stores or to take a cash advance. Annual Percentage Rate (APR) 25.99%. Varies based on prime rate. Grace Period At least 25 days after the close of each billing cycle. With a high APR retail credit card, there often are certain benefits associated with the credit card. The benefit that comes with the Wawa card is the gasoline savings as outlined below. Save $0.25/gallon for the first two months when you use the Wawa credit card. Save $0.05/gallon starting the third month and beyond. 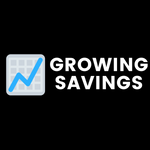 The savings only apply to up to 100 gallons per month. The savings will be issued as a statement credit. Your annual credit cannot go over $60. Credits can only be gained for personal or household purchases. The percentage you receive back from using your Wawa credit card for fuel will depend on the price of gas. As an example, using only the $0.05 off/gallon amount from above, you will receive 2.5% back in statement credit when gas is at $2/gallon, 2% when it is $2.50/gallon, and 1.67% at $3/gallon. You can use this credit card inside Wawa convenience stores, but there is no listed benefit associated with these purchases. Should You Get This Credit Card? The Wawa credit card is pretty straightforward. You are limited to $60 in savings per year. You can obtain this by using your credit card to purchase 100 gallons of gasoline per month for 12 months. The price was gasoline will determine the value of the cash back to the cardholder as discussed above. The higher the gasoline price, the less percentage back you will receive. If you choose to carry a balance over the year, the benefit of the $.25 or $.05 gasoline savings can quickly be wiped out from the hefty interest you will pay. If you are prone to carrying a balance on your credit card, this credit card probably is not right for you. In many cases, you are better off using a lower APR traditional credit card that offers better rewards than this credit card offers. This is especially true if the price of gasoline keeps increasing. What Does Cr and Dr Mean on a Credit Card Statement? Can You Get Cash Back with a Credit Card? What Credit Cards Does Sam’s Club Accept?